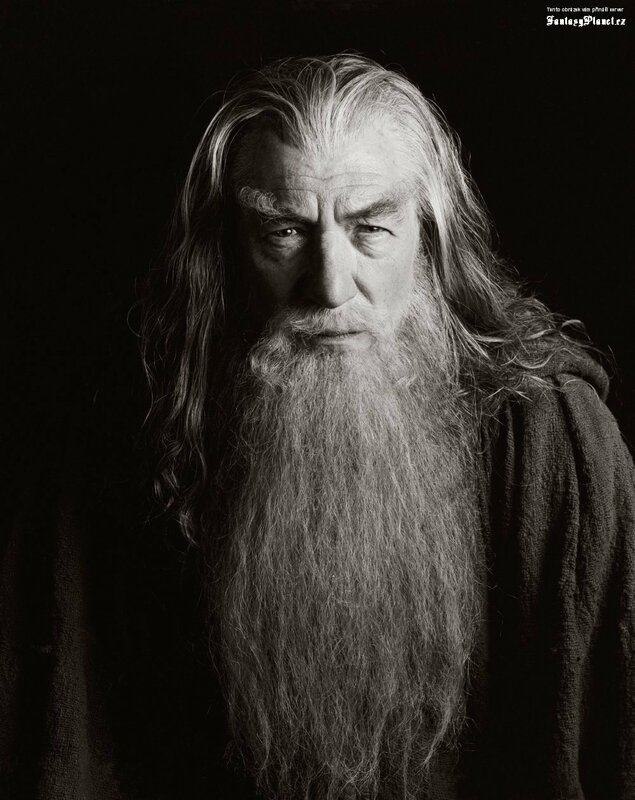 Gandalf is a character in J. R. R. Tolkien’s novels The Hobbit and The Lord of the Rings. 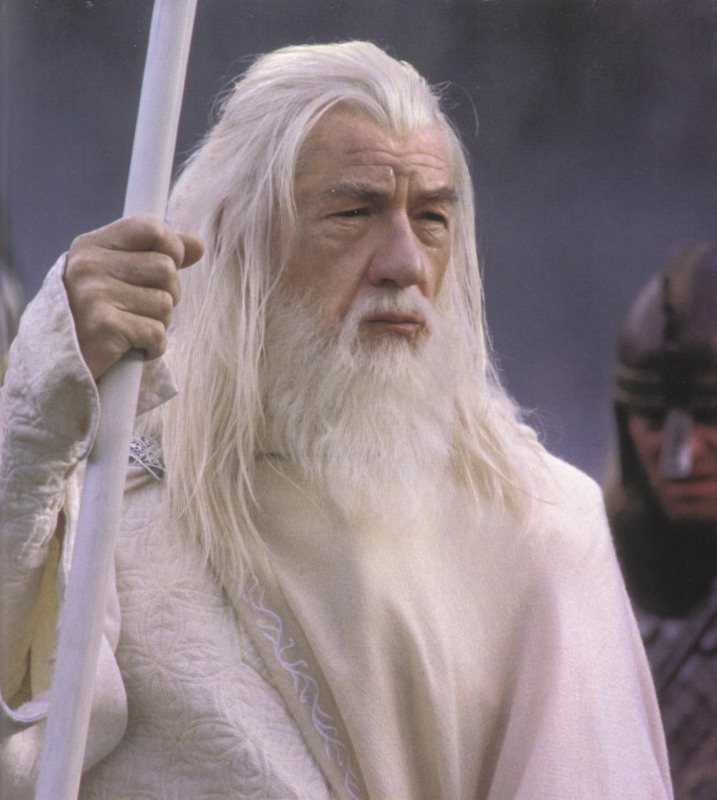 In these stories, Gandalf appears as a wizard, member and later the head (after Saruman’s betrayal and fall) of the order known as the Istari, as well as leader of the Fellowship of the Ring and the army of the West. In The Lord of the Rings, he is initially known as Gandalf the Grey, but after returning from death as Gandalf the White. Gandalf the Grey was the last of the Istari landing in Mithlond. He seemed the oldest and least in stature of them, but Círdan the Shipwright felt that he had the highest inner greatness on their first meeting in the Havens, and gave him Narya, the Ring of Fire. Saruman learned of the gift and resented it. Gandalf hid the ring well, and it was not widely known until he left with the other ring-bearers at the end of the Third Age that he, and not Círdan, was the holder of the third of the Elven-rings. Gandalf’s relationship with Saruman, the head of the Order, was strained. The Wizards were commanded to aid Men, Elves, and Dwarves, but only through counsel; it was forbidden to use force to dominate them — an injunction Saruman disregarded.